Collect, collaborate, create from anywhere with the EndNote app - the world's most popular research management tool. 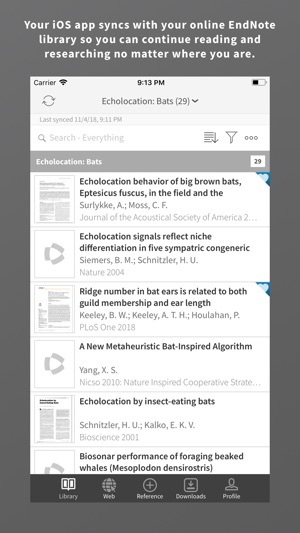 With flexible tools for searching, organizing, sharing research, and creating bibliographies, the EndNote app extends your ability to stay on top of cutting edge research and connect with your EndNote library on the go. 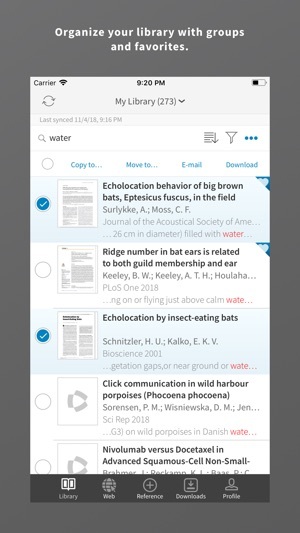 EndNote enables you to easily view, edit, organize, and share research material on your iOS device. 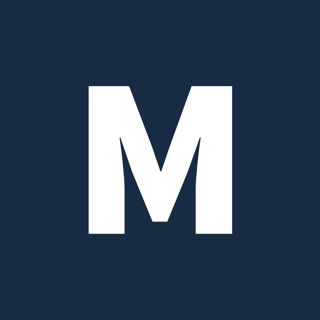 By syncing your research library across iOS, online, and desktop, you increase the power of EndNote by gaining seamless access to your reference library from multiple devices and platforms. EndNote for iPad is now EndNote! * Fixed PDF reindexing issue on first launch. * Updated text and contact links. * iPad split screen support. 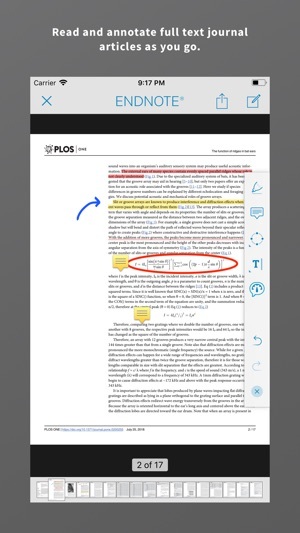 * Enhanced PDF viewing and annotation controls. 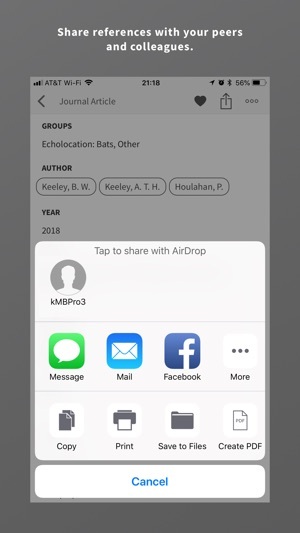 * Improved file sharing options, including Airdrop and Messages. * Improved Drag & Drop support. Attach files by dragging them from the Files app in Split Screen mode. * Fixed issue where downloading large numbers of attachments could cause the app to shutdown. * Several other more minor bug fixes. We are working hard to improve the user experience for all of our customers. Thank you for your feedback. 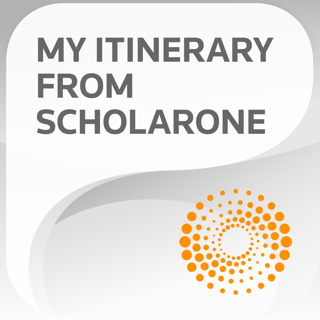 The lack of a good iOS app had moved me away from the gold standard of reference apps, which is endnote. 3) create temporary citations, which in conjunction with endnote web allow for a 100% iOS workflow to create bibliography on scientific articles. WOW! Really nice experience. Some improvements necessary. 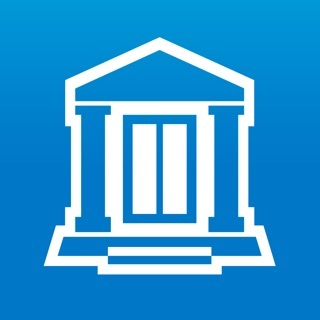 The overall use of the app is great. The improvements in pdf annotation and support for Apple Pencil are a life changer. I do most of my readings on the iPad and manage my library on the Mac app, which is really slow compared to the iOS version. However, a really important feature is not present in the iOS version. How to filter and/or change the read flag for a reference. Once I read, and annotate the document on the iPad, and sync my libraries, on the desktop app the reference still is flagged as unread. The same on the iPad is not trivial to find out which references I read or not. That’s the only reason of not given the app a 5 star. This app greatly extends the usefulness of DESKTOP EndNote into the mobile domain. 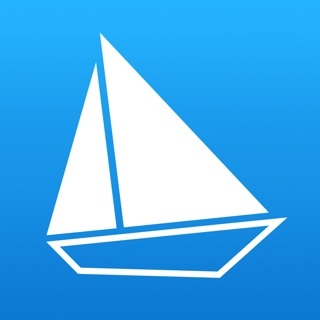 Annotation of pdf is greatly improved in version 3.0, so this app now earns 5 stars from me. One request to the developers: moving a ref between groups is not intuitive on the iPad (it is very intuitive in the desktop version). Can you implement drag and drop? BTW - Telephone support by the developer is first rate.